Last week, a team of lawyers asked the federal judicial panel (JPML) to create a new MDL related to the opioid epidemic, in this instance focused on infants and children who are born addicted to opioids. In their motion before the JPML, the attorneys argued that infants and children present “unique claims” than the lawsuits filed by cities and states in MDL 2804. As such a separate MDL is appropriate. 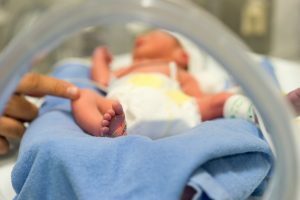 One primary issue facing these newborns addicted to opioids is Neonatal Abstinence Syndrome (NAS), which is a group of conditions affecting an infant born to a mother who was a frequent user of opioids while pregnant. Opioids can pass through the placenta and severely injure the fetus in utero. Once the baby is born, he or she will suffer the effects of opioid withdrawal. Symptoms for newborns with NAS include body shakes, seizures, crying, poor feeding, breathing problems, fever, diarrhea. Needless to say it is a brutal way to start out in life. NAS can cause intellectual, physical, developmental problems for the child. The motion noted that “these innocent young victims risk losing the opportunity to achieve a productive adulthood. discovery relevant to the plaintiffs’ product liability claims. In West Virginia in 2017, 50.6 cases of Neonatal Abstinence Syndrome were identified in newborns for every 1,000 live births (5.06% of all children born in West Virginia). One West Virginia county had 106.6 cases of NAS per 1,000 live births. 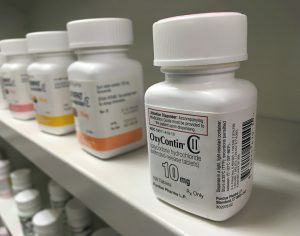 Between 2008 and 2012, 780 million hydrocodone or oxycodone pills were prescribed in West Virginia, a state of 1.8 million people. That’s 433 pills for every citizen in West Virginia over that five year period. In the town of Williamson, West Virginia, population 2,900, 20.8 million opioid pills were shipped between 2006 and 2016. Or 7,172 pills per resident. As West Virginia is one of the hardest hits states for opioid addiction, the attorneys representing opioid-addicted newborns have asked the JPML to create the new MDL in the Southern District of West Virginia. If West Virginia is not selected, the plaintiffs’ team asked the JPML to place the MDL in the Southern District of Illinois. A decision should come soon, and I will keep you posted.